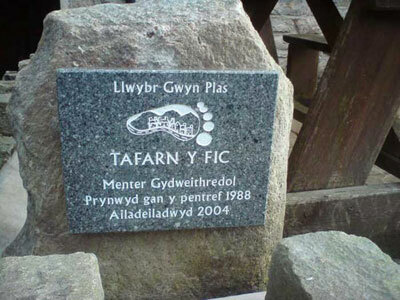 This heritage trail was created in memory of Gwyn Elis, a local historian, walking leader, Nant Gwrtheyrn trustee and one of the founder-members of the Tafarn y Fic co-operative initiative. Gwyn was an inspirational character, enjoying every aspect of his heritage. 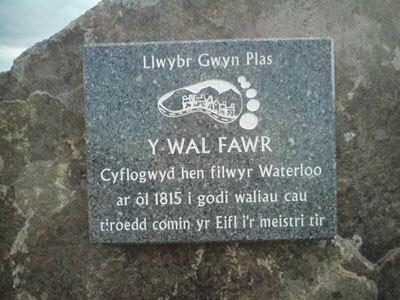 See below for details of the Gwyn Plas Trail. Tafarn y Fic was built in 1869. In 1988, local people created a co-operative company to buy the pub from the brewery, which had by then closed its doors. It became a lively social centre, renowned for its Welsh music nights. 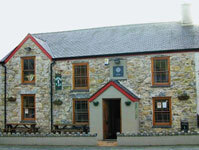 The building was modernised and extended in 2004 creating a community room, Y Daflod restaurant, as well as continuing as a Welsh pub. Llithfaen was a granite quarrying community, and the road from Y Groes ('crossroads' to the coastal quarries would have been full of workers walking through all kind of weather to the rock faces. Granite setts were exported by steamboats to face city roads and pavements. There was a strong tradition of co-operative businesses under workers' control at Llithfaen. This long and high perimeter wall was built by unemployed soldiers returning from Waterloo. The square fields below the wall were marked out by surveyors - this is the land that was legally stolen by the estate landowners from the traditionally shared community common ground by the Eifl Enclosure Act. It is estimated that over a million acres - a fifth of the country - was enclosed by London parliamentary acts. 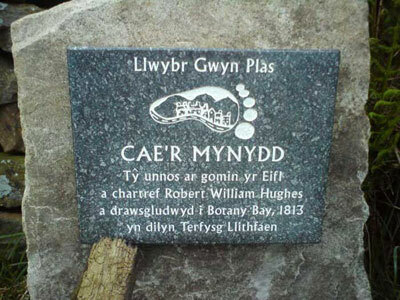 Using a large sea shell, Robert William Hughes of Cae'r Mynydd called on the people of Llithfaen to resist the officials and land-measurers in September 1812. 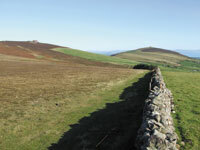 A riot followed and a troop of Dragoons was sent to Llithfaen to capture the ring-leaders. Robert Hughes was caught hiding in the rafters of his cottage and was sentenced to be hanged, but was 'pardoned' and sent to Botany Bay for the rest of his life. 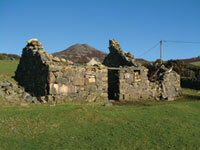 Llithfaen's population swelled with the growth of the Eifl granite quarries - a larger Methodist chapel was built every 20 years during the 1800s. The last chapel was opened in 1905 with a unique circular gallery for a choir behind the pulpit. 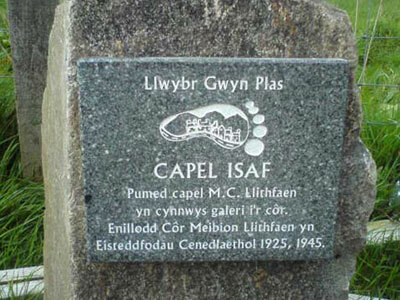 Llithfaen was renowned throughout Wales for its choir singing tradition and Llithfaen Male Voice Choir won the main competition at the National Eisteddfod in 1925 and 1945. The history of Carnguwch church, which is consecrated to Beuno, an early Welsh saint, dates back to the 7th century. 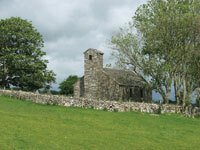 Its located on a secluded mount above Afon Erch and is now in the care of a group of local volunteers. 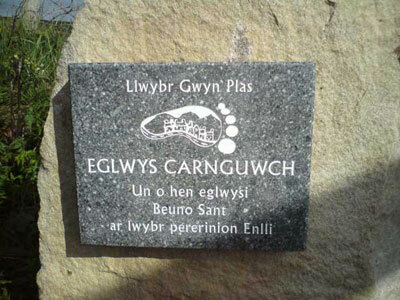 A memorial sculpture in granite stands near the car park above Nant Gwrtheyrn in memory of the quarrymen of the three western Eifl quarries. When quarrymen walked to the rock faces in winter, they were often forced by the strength of the wind on this path to scramble on all fours. 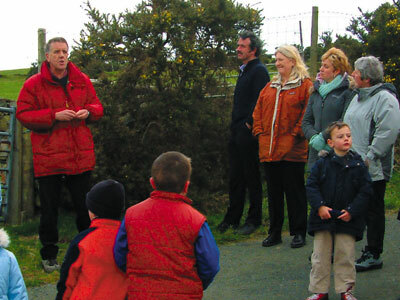 Donations were received from an extensive area to Gwyn Plas' fund. Further sponsorship was supplemented by the Aggregates Levy Sustainability Fund for Wales and The Sustainable Development Fund.